Does a permanent base in Poland make sense? WASHINGTON — Poland has wanted an increase in U.S. presence in its country for some time as it looks to beef up its security against an aggressive Russia. But even as powers-that-be within the government take steps to openly circulate a proposal to permanently station a U.S. armored division in the country, questions swirl as to whether it’s practical, desirable or even affordable for the U.S. The basis of the proposal for the base is the the brainchild of the now-ousted Polish Ministry of Defence leadership, but according to a defense analyst based in Poland closely tracking the issue, the current MoD is responsible for floating the proposal to the U.S. Subsequently, the proposal has surfaced all over the place from government institutions to Congress and to numerous think tanks. The proposal offers details such as how much Poland would pay for basing and where the U.S. division should be positioned in the country, and also makes the case for why a U.S. presence would be valuable for regional security and stability. But the proposal also raises more logistical questions than it answers. Poland is offering $1.5 to $2 billion to establish permanent basing, but that would really only cover the preliminary set up of forces and would not sustain the base in perpetuity. The question is whether the cost after the $2 billion fund is tapped out would be covered by the Poles or by the U.S.
Then there’s the other issue of where U.S. forces for the base would come from. The Poles are proposing a division-sized presence, which means the U.S. would have to either grow the force by an entire division or it would have to pull a division from somewhere else. It’s unlikely Congress would be on board with moving forces, even if the force was the size of a brigade, because it would impact districts that these brigades already call home. And moving forces out of Germany where it has well-established, world-class training facilities would likely also not fly. 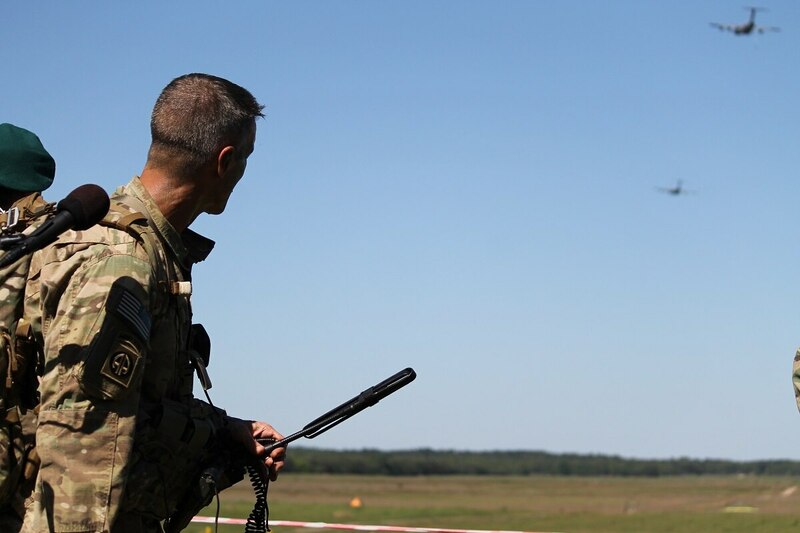 The Senate Armed Services Committee is expected to have language in its draft defense authorization bill that examines the feasibility of establishing a forward-stationed brigade in Poland. That will spark the debate over whether permanent basing offers better security than rotational forces. If it’s any indication, U.S. military leadership has, over the past several years, praised the positive effects of rotational brigades in Europe from providing security to Eastern European countries, to deterring Russia, to providing a level of readiness to those forces which are impossible to achieve through forward-stationed or permanently-based troops. Ret. Lt. Gen. Ben Hodges, who commanded U.S. Army Europe up until late last year, told Defense News today in a May 29 interview that it’s important when having any conversation about troop presence or permanent basing that it not be just between Poland and the U.S.
“Cohesion of the alliance is always going to be my number one consideration for anything, so any decision to permanently station somebody anywhere would need to be done in consultation with our allies, that everybody agrees that this improves overall security,” he said. But he said he would still advocate for rotational forces because the level of readiness for U.S. troops has been paramount. Hodges is now the Pershing chair in strategic studies for the Center for European Policy Analysis. Rotational troops have been able to exercise two to three times more gunnery, rail movements and other operational skills than they would have ever done in a full year back at home station, he noted. Additionally, Hodges said, the NATO Enhanced Forward Presence in Estonia, Latvia, Lithuania and Poland as well as the rotational brigades from the U.S. offer a coherent and strong level of security to the entire Eastern flank without being considered provocative or favoring one nation over another. Hodges noted, rather than focusing on permanent basing, an increase in rotational presence would be more beneficial, particularly forces that can fill capability gaps like air defense, maintenance and logistics.